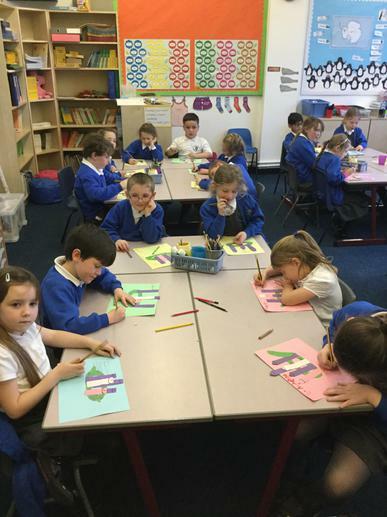 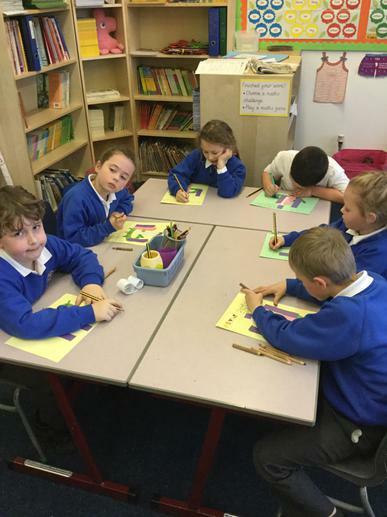 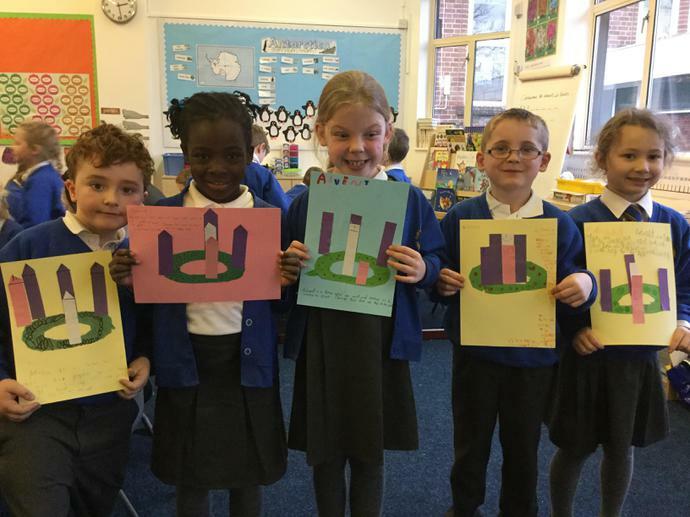 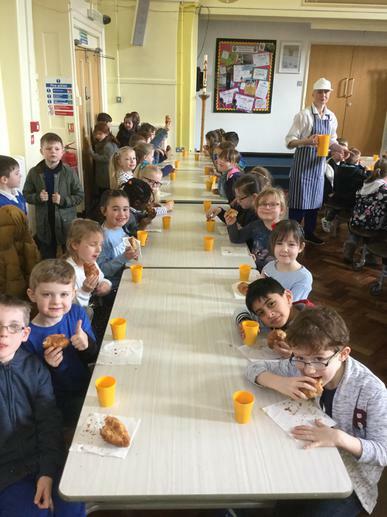 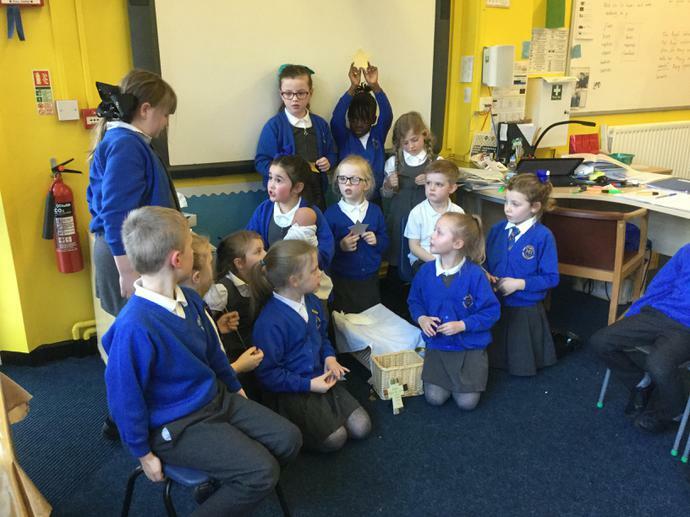 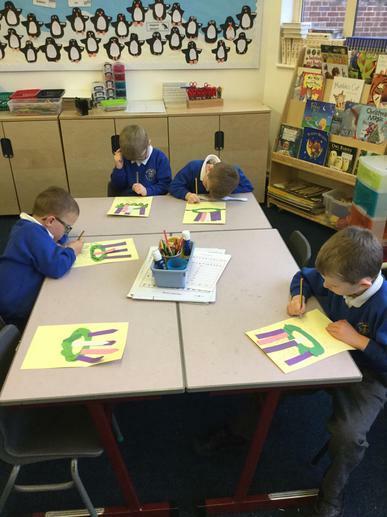 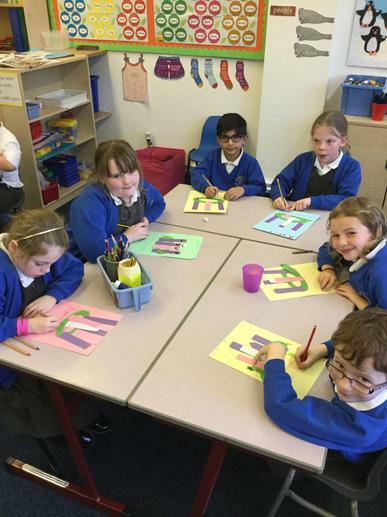 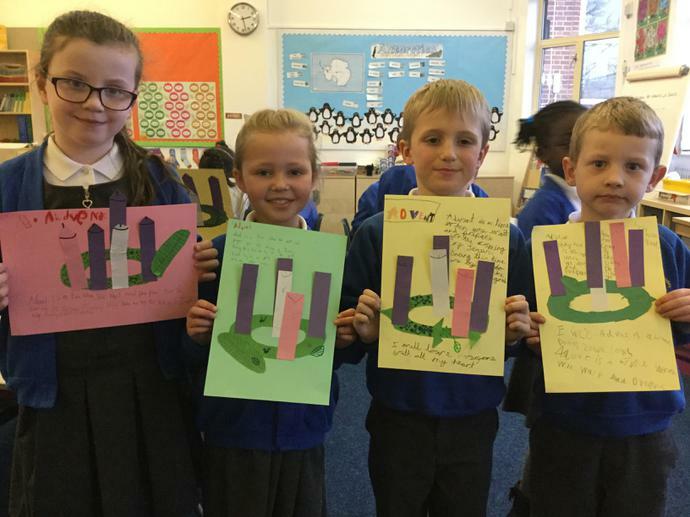 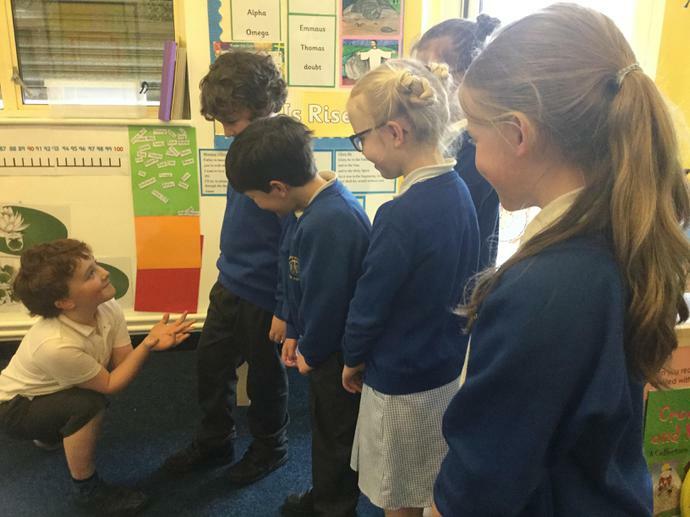 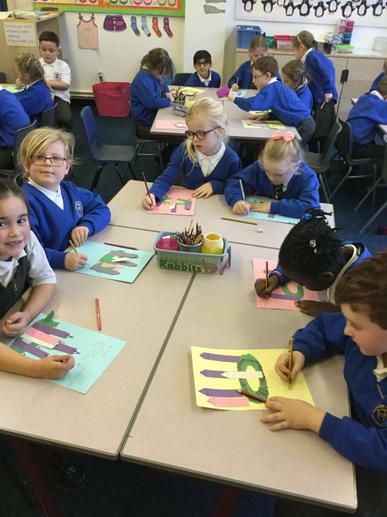 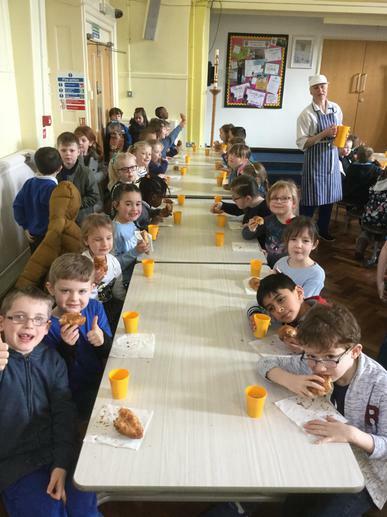 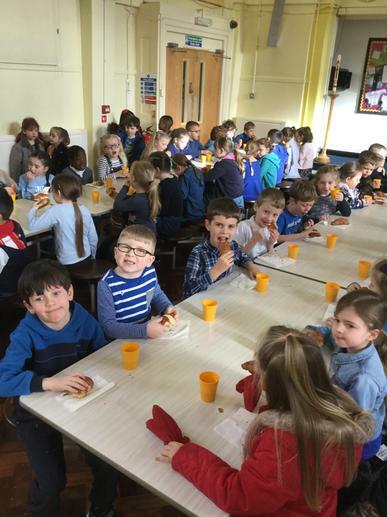 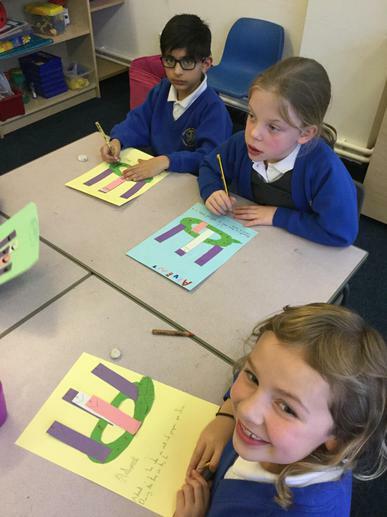 Oak Class have been learning about the Old Testament and some of the people God chose. 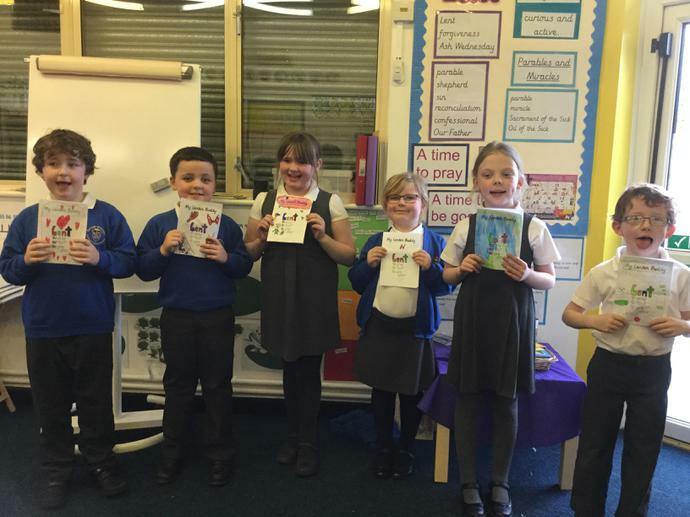 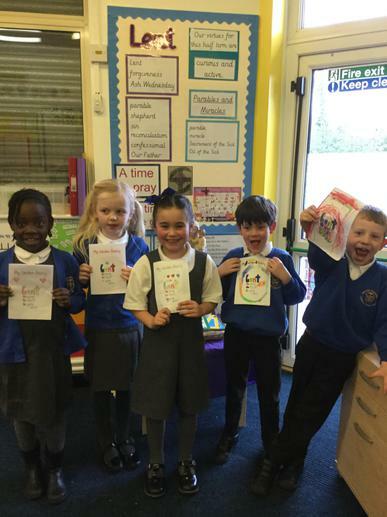 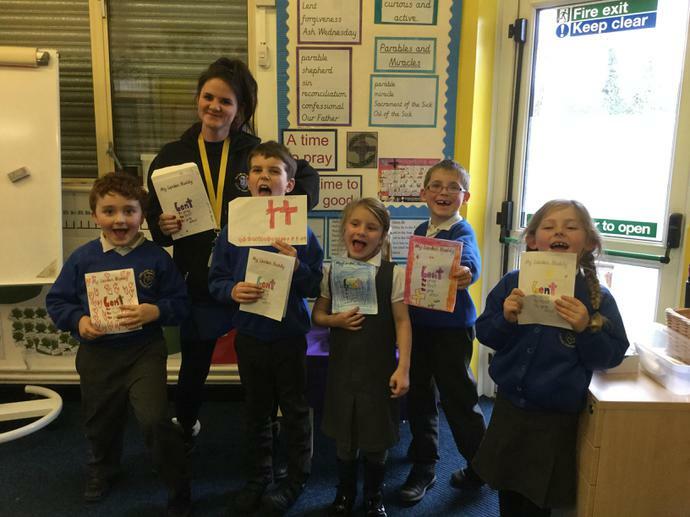 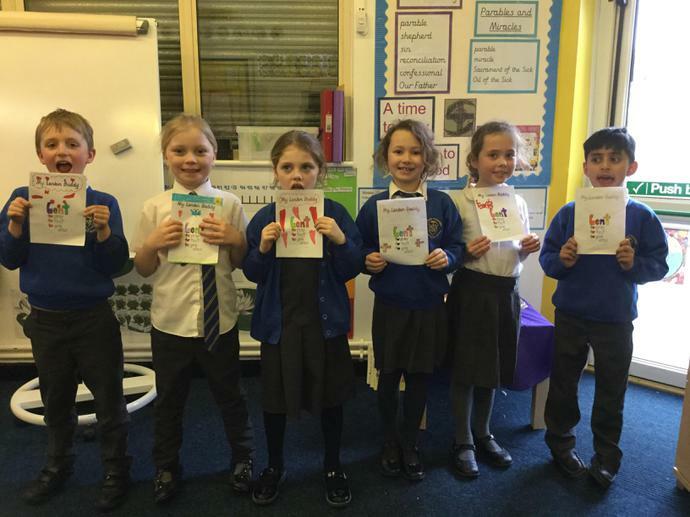 We enjoyed reading their stories. 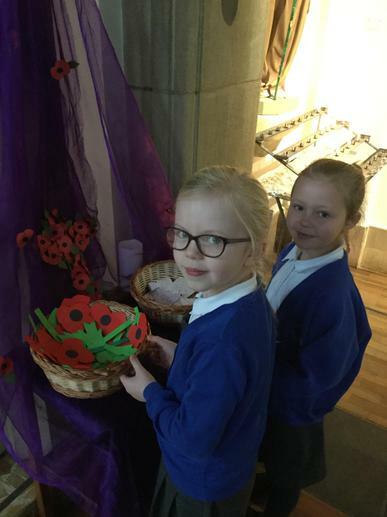 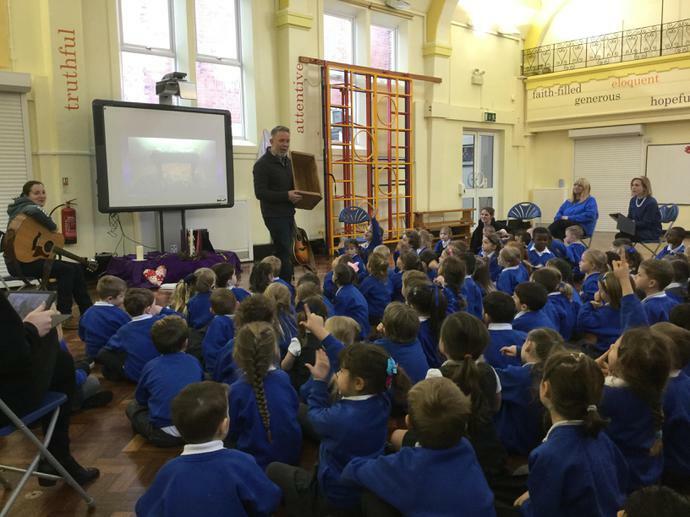 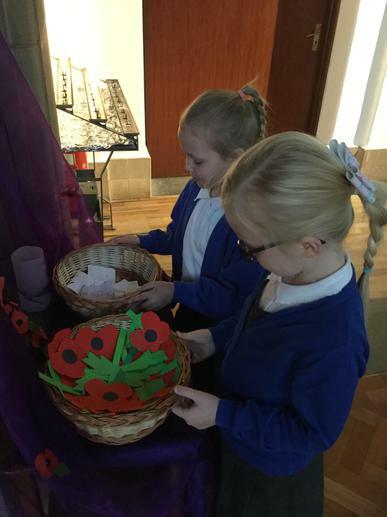 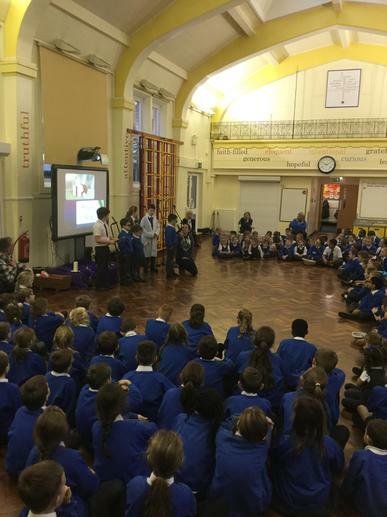 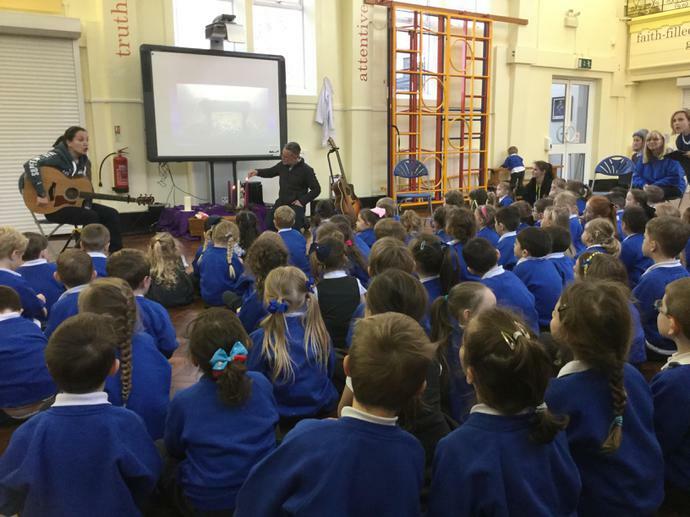 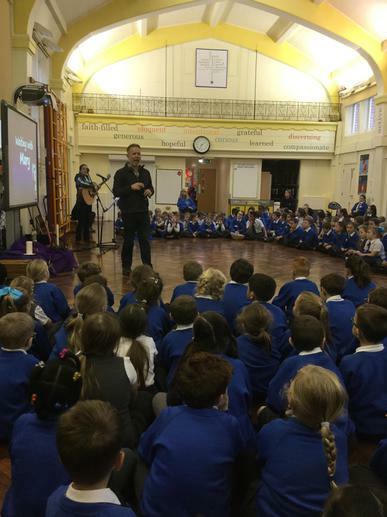 We showed our families, friends and school what Advent is about. 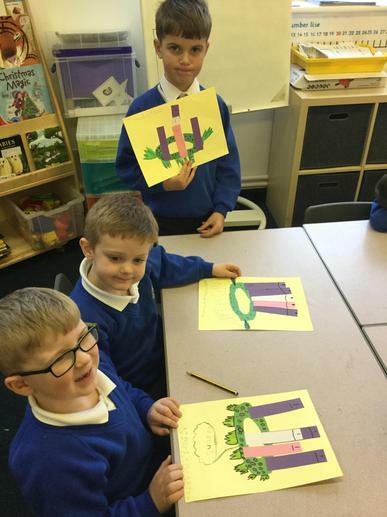 In class we learned about the Advent wreath and wrote an Advent promise. 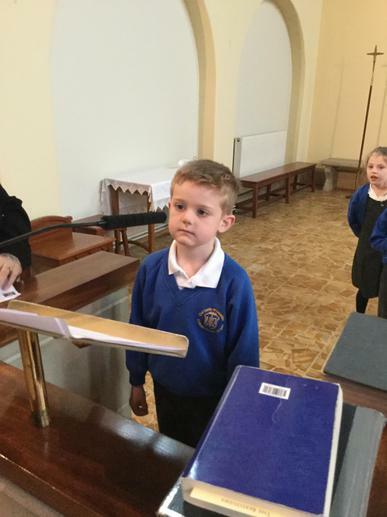 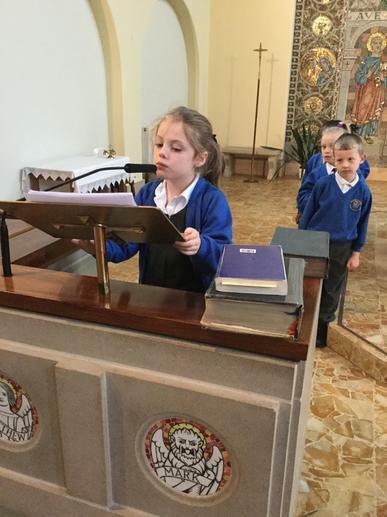 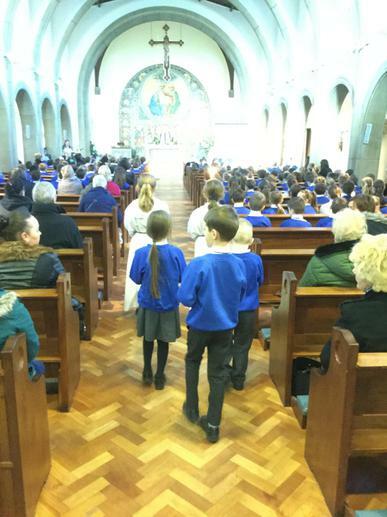 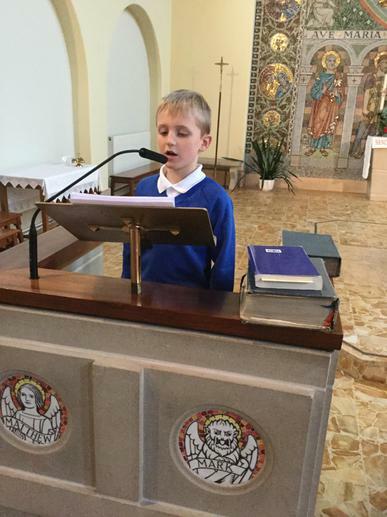 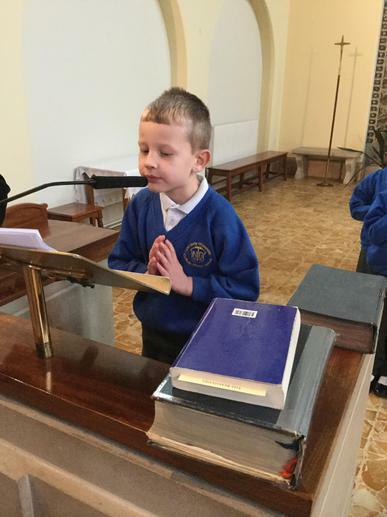 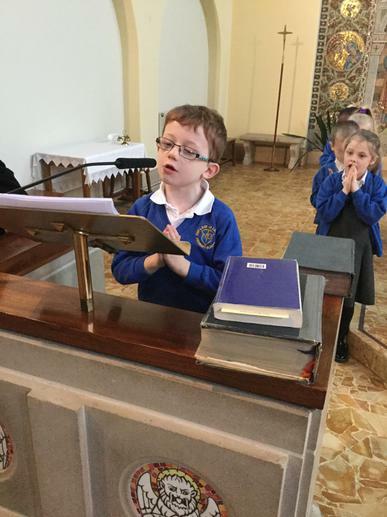 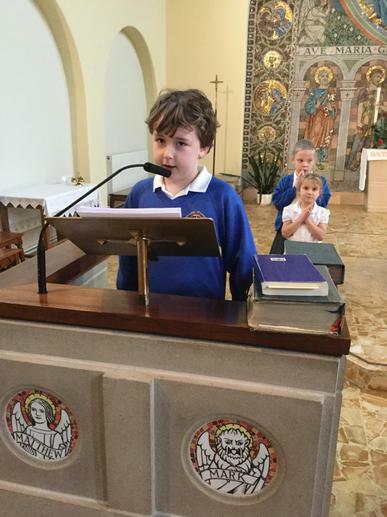 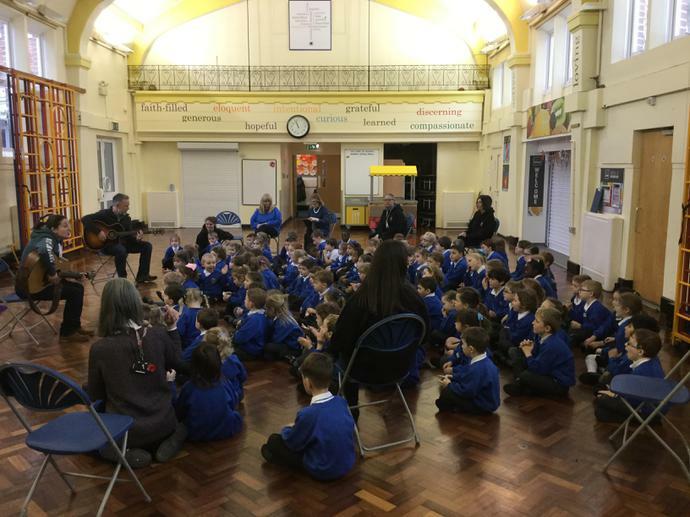 We finished off the term with a carol service. 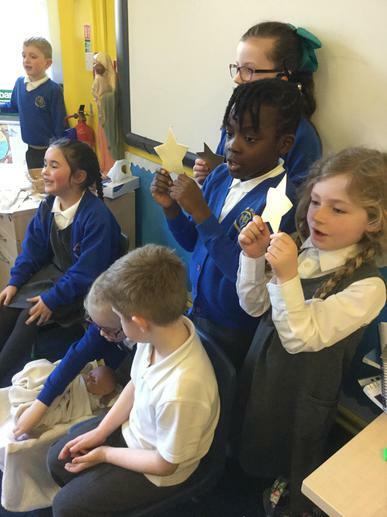 Our song was about a little star. 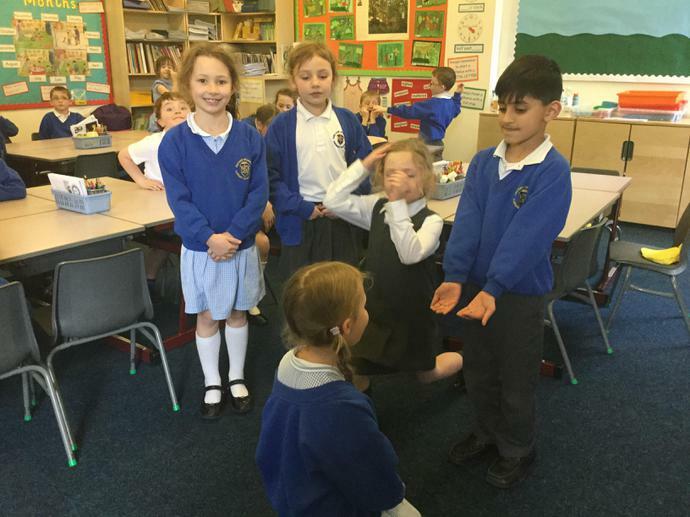 After listening to the Christmas Story we acted it out. 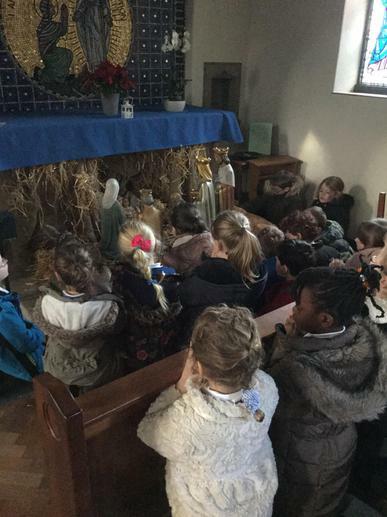 We went to church to see the The Nativity Story on the altar. 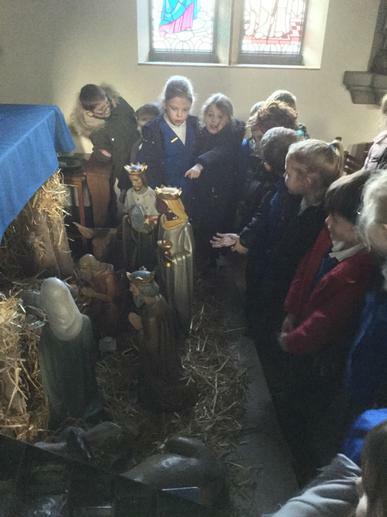 We had a look at the crib. 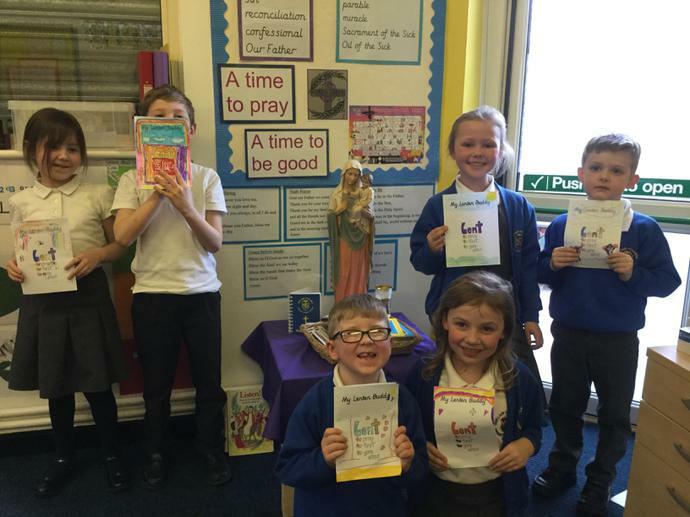 We discussed special celebrations in the Liturgical Year. 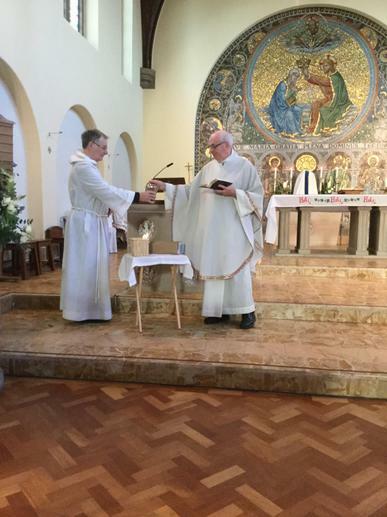 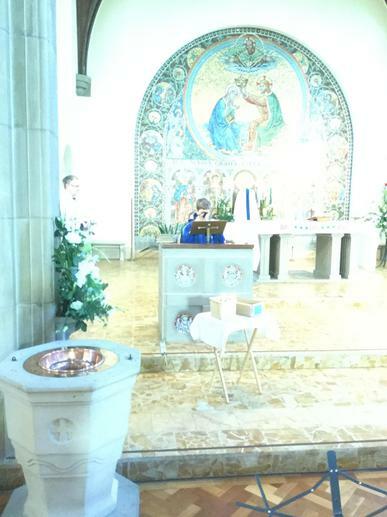 We looked in detail at two very special Sacraments that we celebrate; Baptism and Marriage. 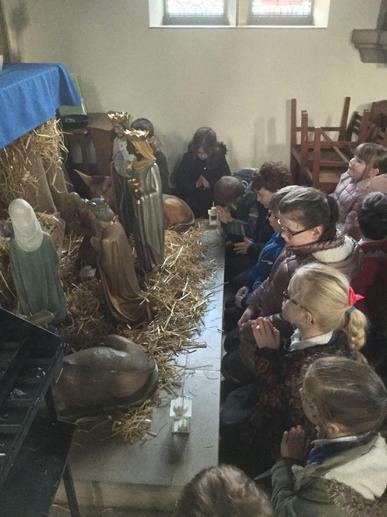 Today we celebrated the feast of The Presentation of Our Lord in the Temple. 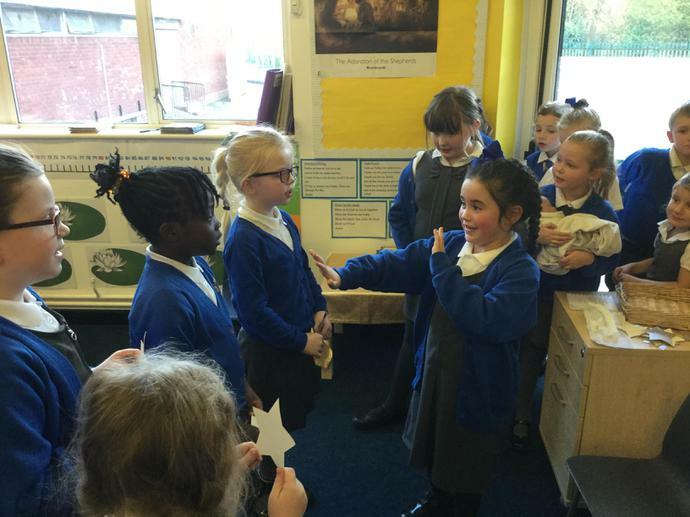 This is when Mary and Joseph took Jesus to the Temple in Jerusalem forty days after he was born and presented him to God. 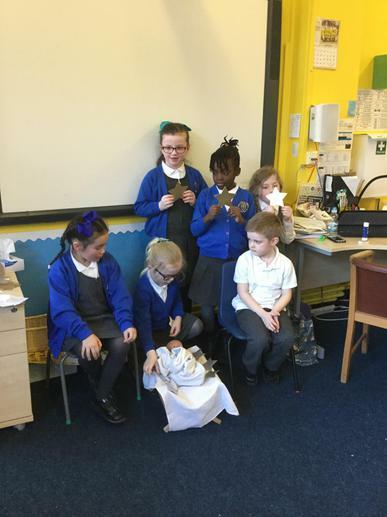 There, a wise man called Simeon took baby Jesus in his arms and told everyone that he was the Son of God. 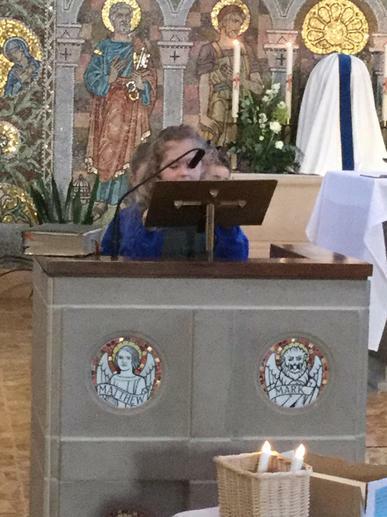 Sometimes we call this feast day Candlemas because it reminds us that Jesus is the Light of the World. 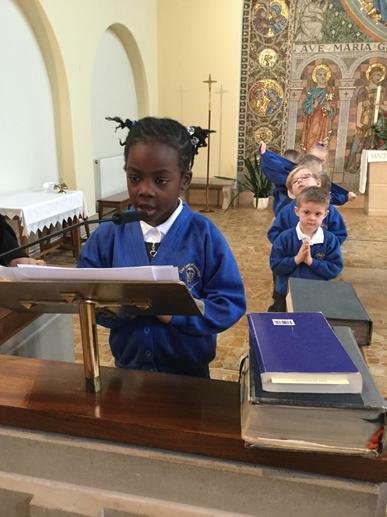 Today we pray that Jesus will guide us in everything we do and lead us to God. 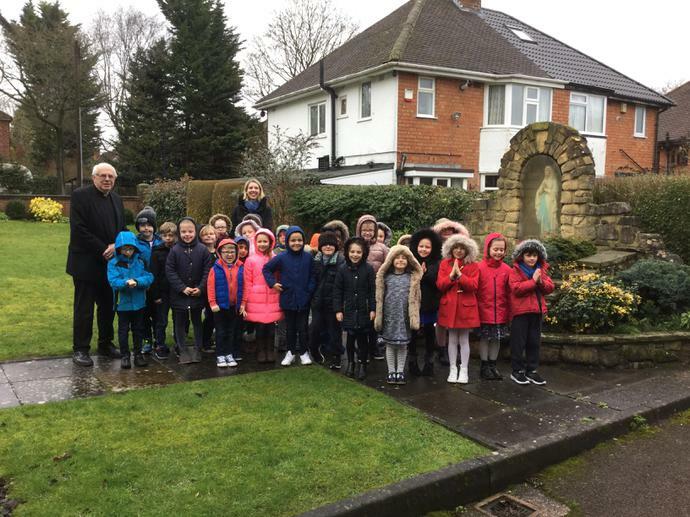 We visited the grotto with Father Sean. 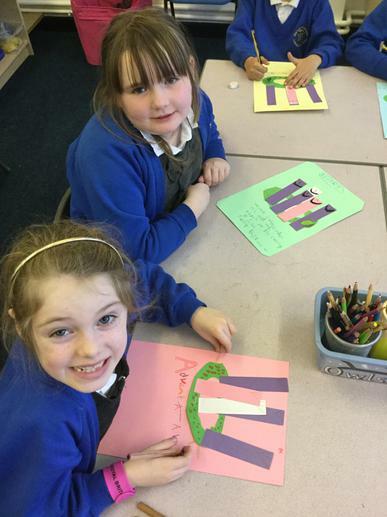 Happy Saint Patrick's Day from Oak Class! 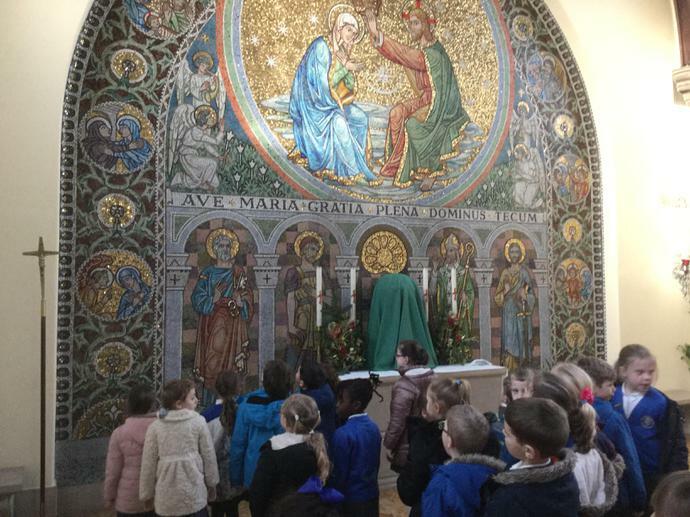 We enjoyed Saint Patrick's Day mass and then learning about Saint Patrick in class. 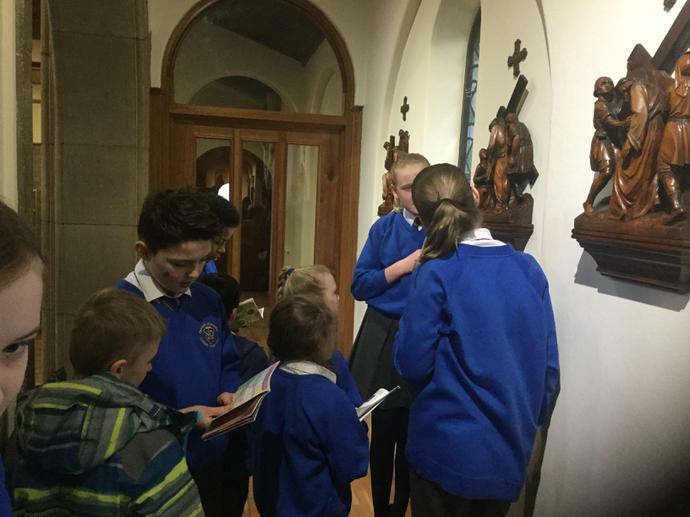 We visited church and looked for symbols of Easter. 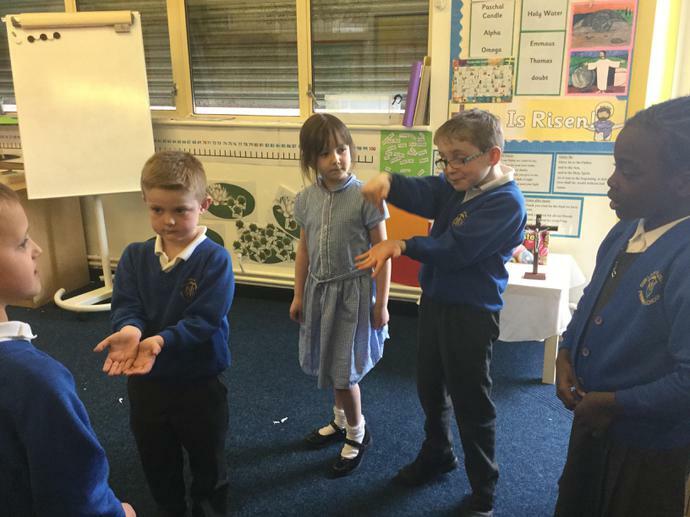 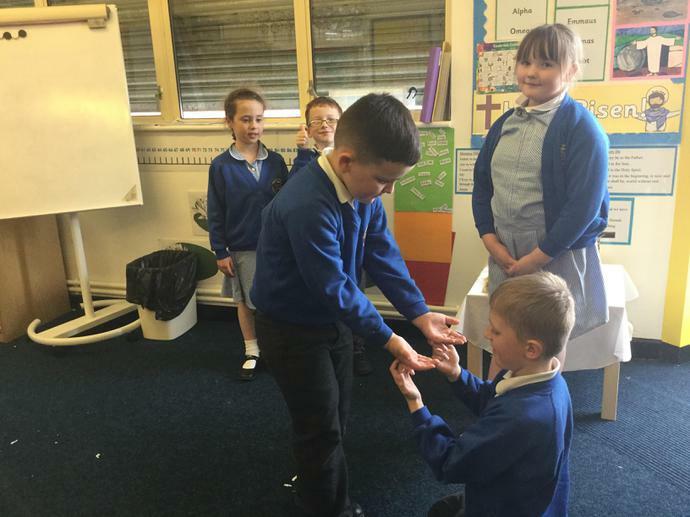 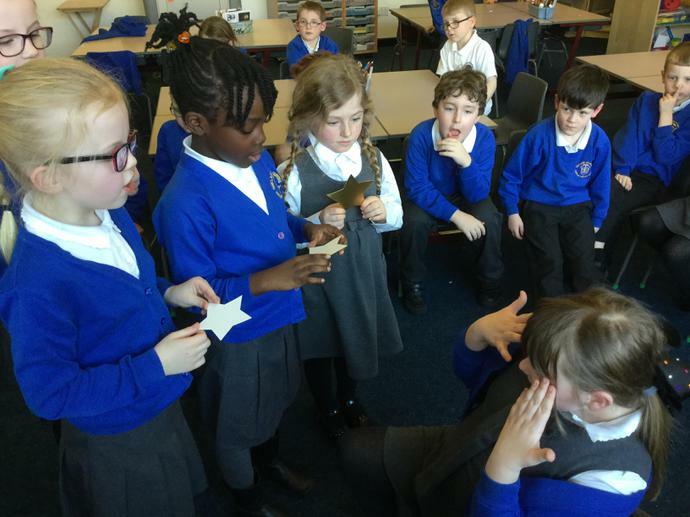 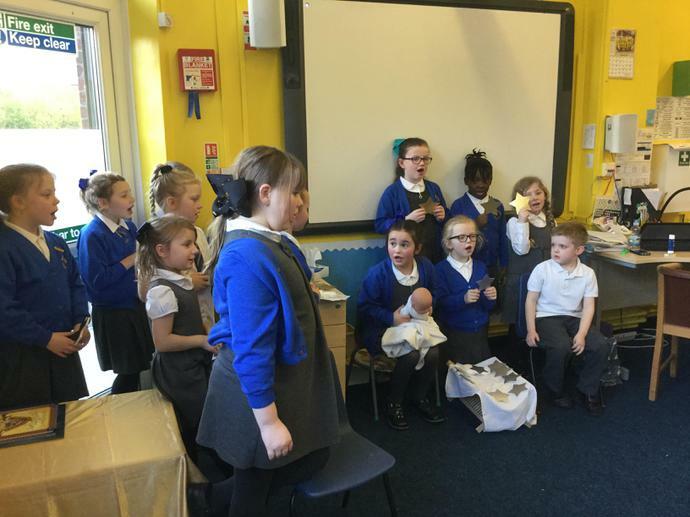 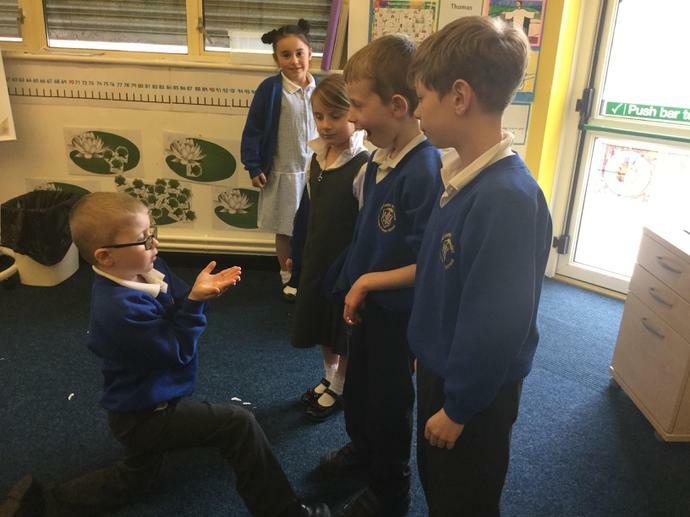 In our RE lesson we acted out the story of doubting Thomas. 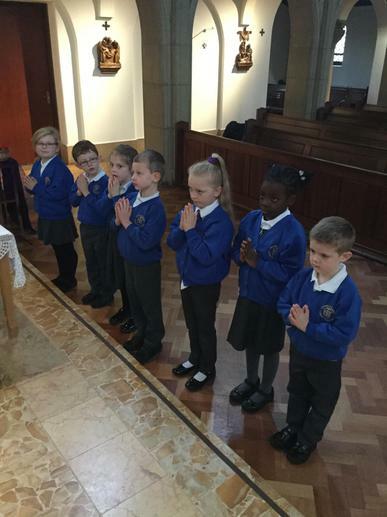 We are so lucky to have our church next door to our school so that we can visit it often. 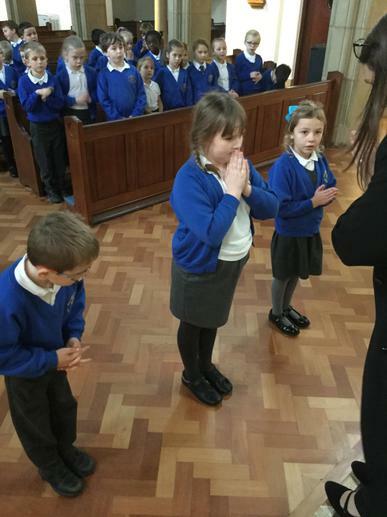 We learned about the signs and symbols in our church. 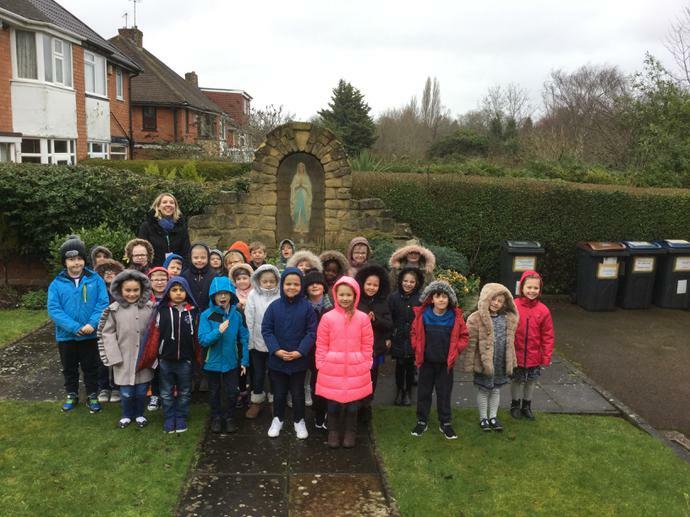 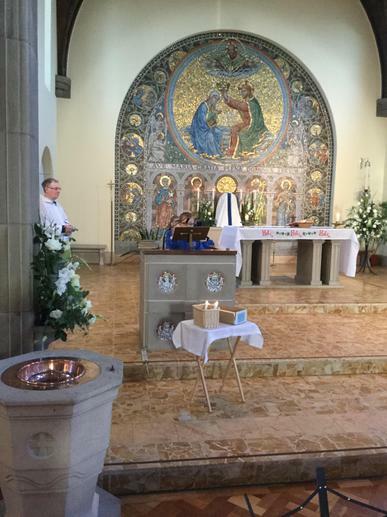 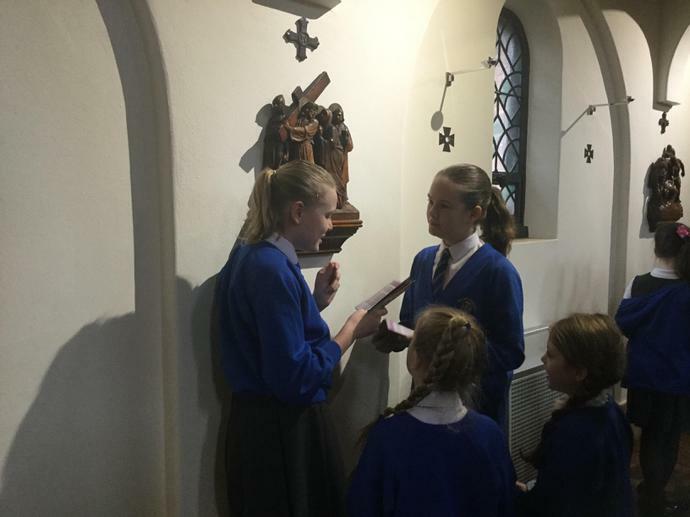 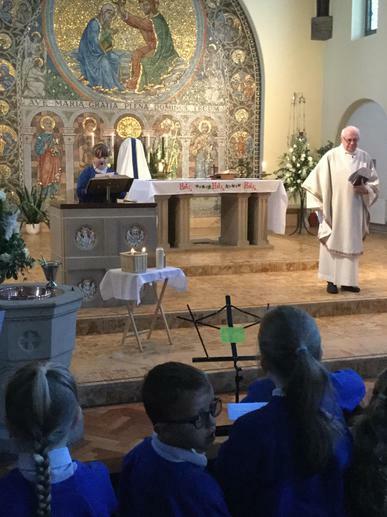 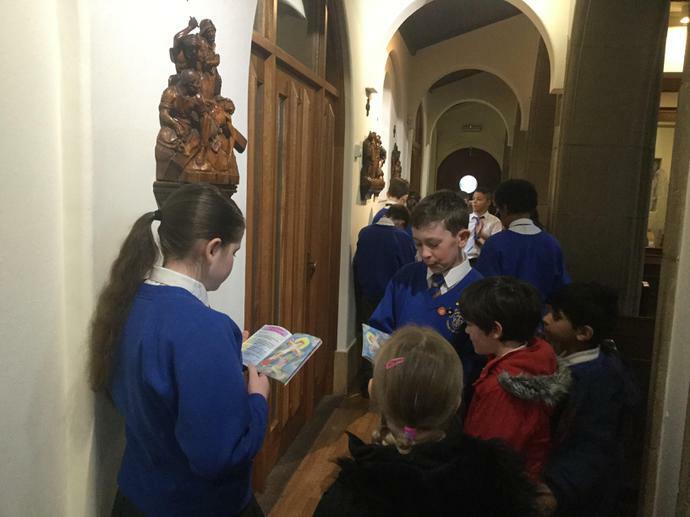 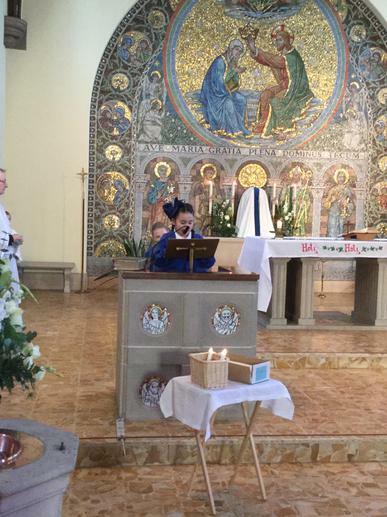 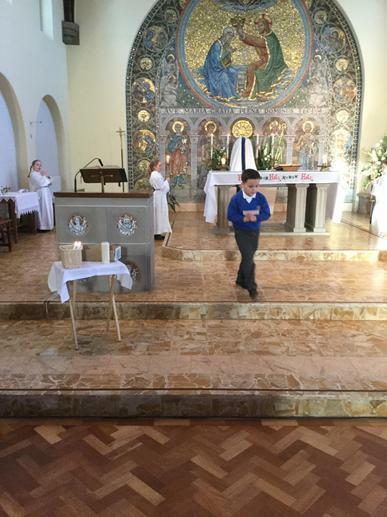 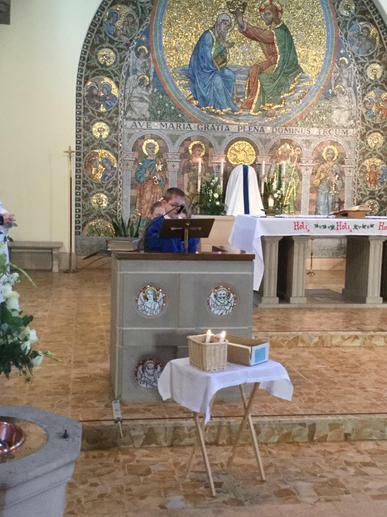 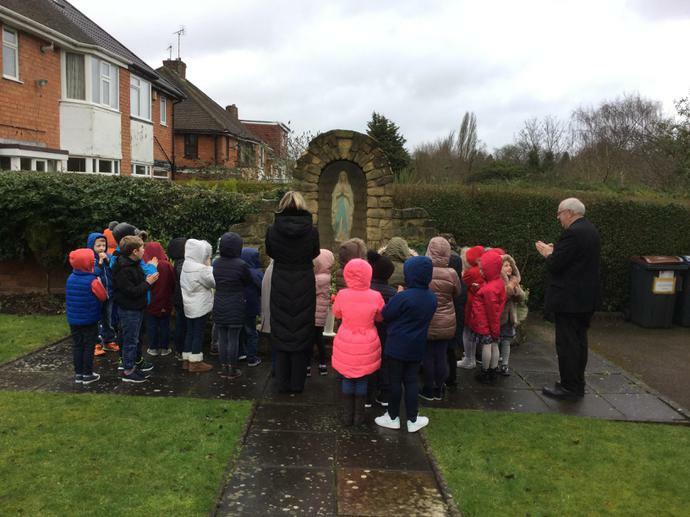 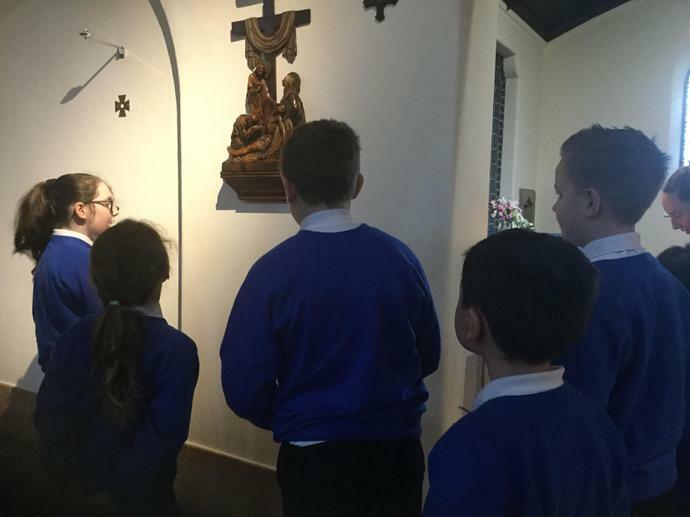 On the 8th June we went to the Sacred Heart Chapel to pray. 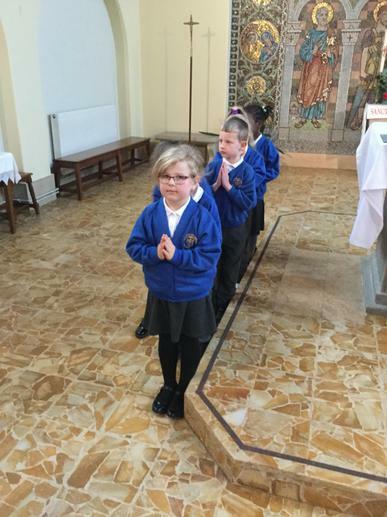 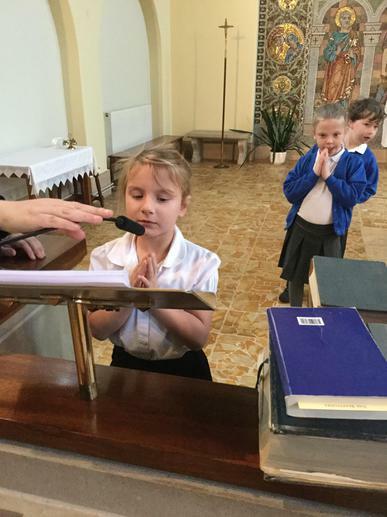 We identified St. Peter and St. Paul in our church and went to mass for their feast day. 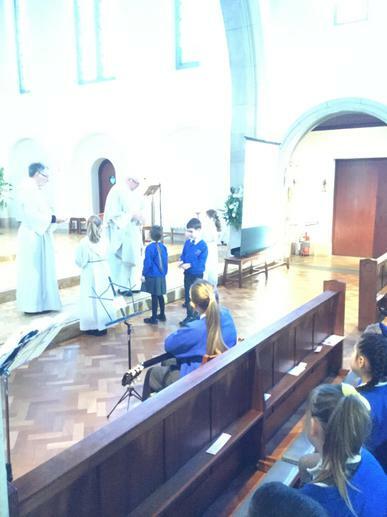 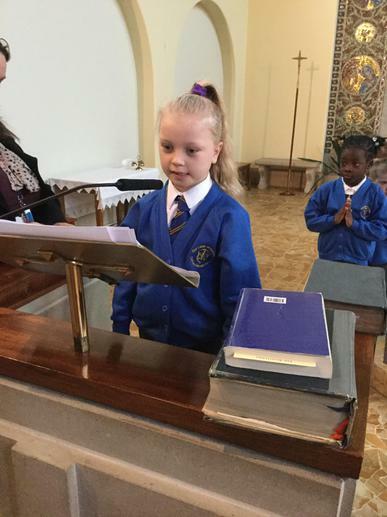 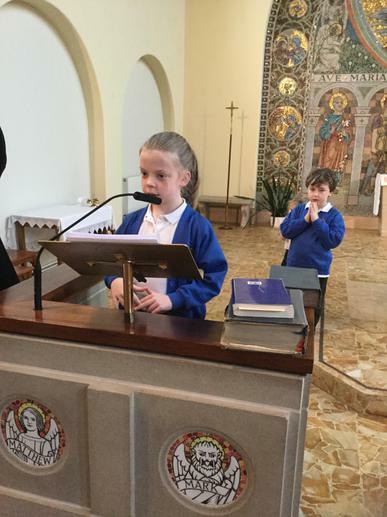 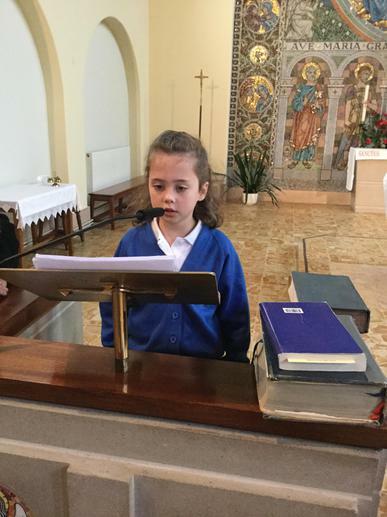 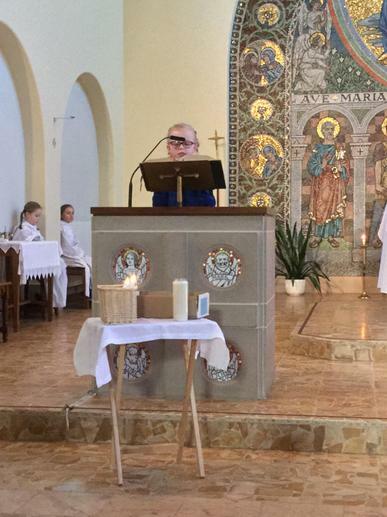 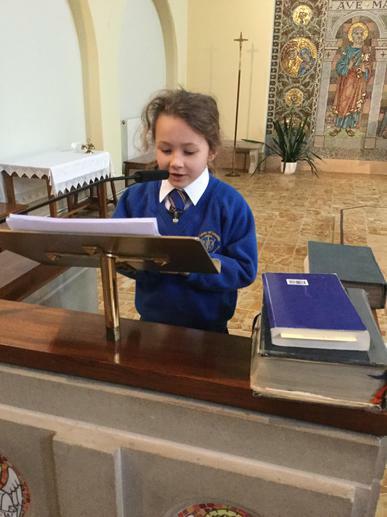 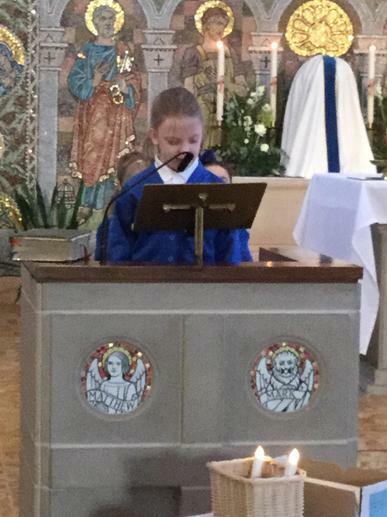 Mrs Antony talked to us about the role of her husband, Deacon Tim and her role as a musician during Mass. 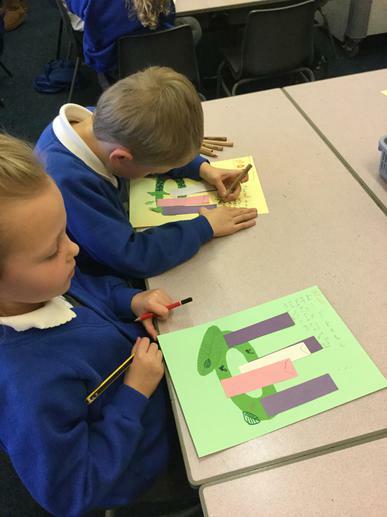 In this unit we are learning about the different parts of the Mass. 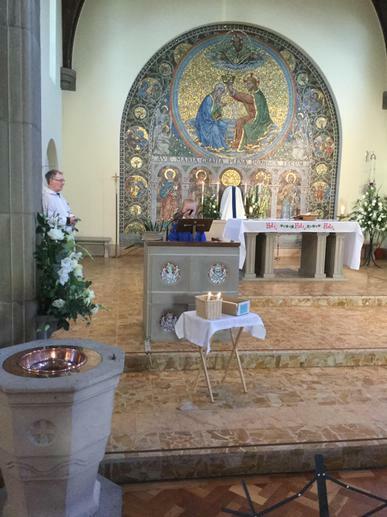 The first part of the Mass is called The Liturgy of the Word.